Nuts fresh Lara - a unique and delicate taste! Fresh walnuts is a momentary pleasure but that luckily comes back each yearto the delight of gourmets! Harvested at maturity mid-September, they are selled immediately after harvest and are to be kept cool. 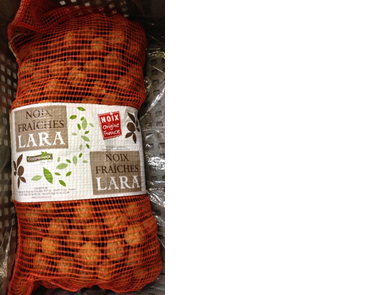 Coopenoix offers its fresh walnuts "Lara", a variety of large sizes. Moisture content of fresh walnuts is greater than 20%, giving them a tender flesh and a fresh flavor.. Their white kernel is consumed on its own or as part of many recipes and food lovers are fond of their unique and delicate taste. Fresh walnuts are preferably kept cool (at the bottom of the refrigerator) and quickly consume (shelf life of 10 days).